This entry was posted in news on February 6, 2015 by James Day. Now that Winter has passed its halfway point, the major Mini and MINI events season will begin. 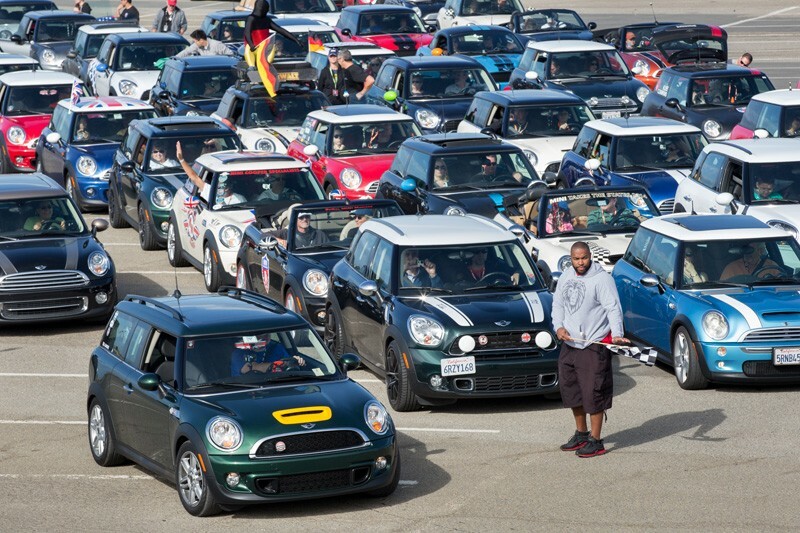 There is no MINI TAKES THE STATES this year, but all of the regular regional meets are back for 2015. There will be another Guinness World Record attempt for the largest number of MINIs in a single parade at MINI on the Mack. After a year hiatus, A MINI Vacation in Vegas returns with AMVIV 11. 2/15 MINI Thunder VI Willows, CA MINI and Mini track day at Thunderhill Raceway Park. 2/26 – 2/28 Helenblitz 2015 Helen, GA Annual gathering of MINIs in the small German town of Helen. 4/29 – 5/3 MINIs on the Dragon 13 Fontana, NC Large annual meet at the “Tail of the Dragon”, aka MOTD. 5/28 – 5/31 A MINI Vacation in Vegas 11 Las Vegas, NV Largest Southwest event returns for 2015, aka AMVIV. 6/19 – 6/21 Mini Meet North 2015 Bowmanville, ON, Canada Largest meet in Canada at Canadian Tire Motorsport Park. 6/19 – 6/20 MINIs on Top 2015 Bartlett, NH Annual rally to the top of Mount Washington, aka MOT. 6/29 – 7/2 Mini Meet East 2015 St. Michaels, MD Annual Mini and MINI meet in Eastern North America. 6/29 – 7/2 Mini Meet West 2015 Abbotsford, BC, Canada Annual Mini and MINI meet in Western North America. Mackinaw City, MI Motor to MINI on the Mack with the Tar Heel MINI Motoring Club. 8/1 MINI on the Mack Grand Rapids, MI Trying for the Guinness World Record for MINIs in a single parade. 8/5 – 8/9 MINIs in the Mountains Snowmass Village, CO Annual meet in the Rocky Mountains, aka MITM. Fall (TBA) MINIpalooza Asheville, NC A meet with scenic drives through the roads of the Asheville area. 9/25 – 9/27 Mickey & MINI 11 Orlando, FL Annual meet near Walt Disney World by Sunshine MINIs. 10/1 – 10/4 MINIs in Foliage 2015 Stratton, VT Annual meet in New England for the fall foliage season.